Should We Drop Food in North Korea? Once again Pyongyang has its hands out for international food assistance to compensate for its inability to feed its people. The World Food Programme estimates that up to one third of North Korea's population suffers from hunger. Requests for assistance have gone to NGOs and national food donors, including the United States. Secretary of State Hillary Clinton has responded that the matter remains under review. But should the United States bail out a country that has shown no end to belligerence despite past assistance? Only recently, North Korea took unprovoked military action against its neighbor to the south. It continues to develop nuclear weapons and assist America’s adversaries with military assistance. Moreover, the country has failed to effectively manage its economy for decades, and it maintains one of the globe’s harshest police states. And, finally, its government may just seek to hoard food donations to showcase its prosperity at the 100th anniversary of Kim Il Sung’s birthday in 2012. As difficult as it may be to swallow, the answer should be “yes.” Food assistance, directly administered by the U.S., UN, or NGOs, offers the means not only to address a genuine humanitarian crisis but, by exposing the population to the bounty foreigners can bring, undermine the regime that created it. For the first forty years of its non-relationship with Pyongyang following the Korean War, the United States sought to isolate the Stalinist nation. The only regular interface that remained was the cold stares by military personnel across the heavily demilitarized zone and scripted meetings at Panmunjom. But with the demise of the Soviet Union, the ice began to crack. 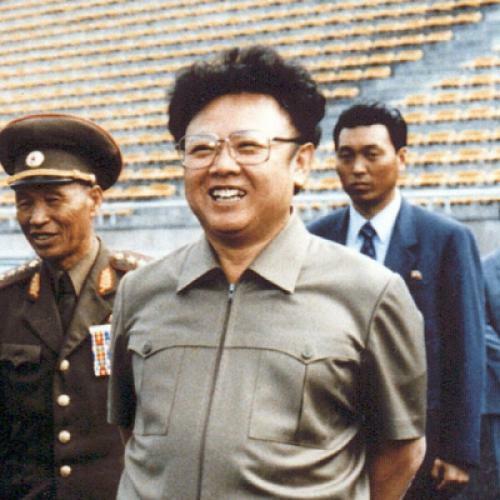 The North had lost its principal benefactor and stepped up its policy of Juche—self-reliance—allocating more resources towards its military and building a nuclear weapons capacity. But Juche couldn’t survive on bombs and guns alone. And in the mid-1990s, up to 3 million people may have perished from starvation due to poor harvests. For the United States, North Korea’s food crisis coincided with growing concerns about the country’s nuclear program. Officially, Washington does not link food aid to politics. But, practically, the United States hoped that food assistance would constrain Pyongyang’s antagonism. From 1995 to 2010, Washington gifted the North $708 million in food aid administered through the UN World Food Programme and NGOs. This aid averaged 17.5 percent of all such foreign assistance—2.2 million metric tons. In the early years, glimmers emerged that durable political benefits would follow. As the Clinton administration ended, Secretary of State Madeleine Albright’s visit suggested as much. But matters did not work out that way. The North pocketed the food and energy assistance—78 percent of North Korean refugees report they never received international food aid—and returned to belligerence. Dorothy Stuehmke, the 2008-9 senior advisor to the U.S.-North Korea food aid program who participated in some of the more than 3,000 monitored visits over a ten month period, noted the implications in her April 21, 2011 Los Angeles Times commentary: Foreign disseminated food provided “a window to the outside world and perhaps a different perspective of the U.S.” By March 2009, Pyongyang decided it had had enough, and isolation trumped food. But now, unable to feed its population once again, the request for food assistance puts Pyongyang on the horns of a dilemma, forced to choose between the starvation (or significant malnutrition) of its people and the informational contamination foreign food distributors bring. Which poison the Stalinist regime decides to take should be its business, not Washington’s. But the United States, too, ought not be shy in acknowledging food aid for what it is: nourishment not only for the body, but also for the mind and soul of inquiring peoples, and the means to open the Stalinist regime to its demise. Bennett Ramberg has served as a foreign policy analyst for the Department of State, U.S. Senate, Nuclear Control Institute, Global Green, and Committee to Bridge the Gap. His academic appointments have included positions at Princeton, Stanford, and UCLA.